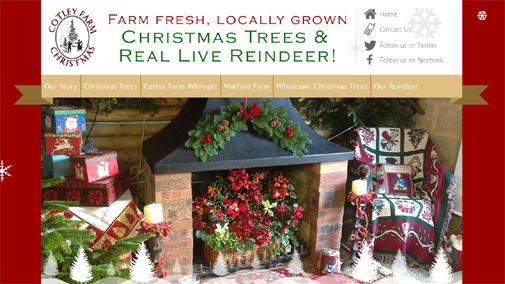 Cotley Farm Christmas Shop came to Cosmic in need of a modern website in time for the festive period. This was required to show off the offerings that they offer in their shop, as well as their reigndeer and other farm animals. Our developer implemented responsive templates on the very Christmassey design, meaning that potential customers can find out more about the products offered without having to leave the sofa. If you want to find out more about the Cotley Farm Christmas Shop, head over to www.cotleychristmas.co.uk.